Largo Tobacco 12oz is a straightforward US style blend of air-cured and flue-cured tobaccos; medium-bodied and no strong aromatic topping. Largo Tobacco12 oz offers pipe smokers a rich, satisfying smoking experience. smokers will savor the smooth taste and exceptional aroma of Largo Pipe Tobaccos. Largo pipe tobaccos are available in four unique flavors to satisfying pipe smoking experience with a quality product at an affordable price. Largo Pipe Tobacco was developed as a very affordable series of traditional, lighter flavored American blends. Choose from the full-bodied Regular, the smooth Mellow or the icy Mint. which is a blend of premium flue and air-cured tobaccos that offers a hearty taste without any strong aromas. When you want great value and a satisfying smoke, Lane is one of the most popular and affordable pipe tobacco blends on the market. Largo Menthol Pipe Tobacco is a traditional blend of Bright leaf and air-cured tobaccos finished with a bracing splash of mint for a refreshing taste. 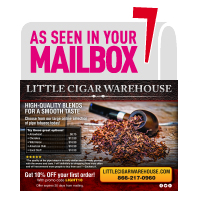 Largo Pipe Tobacco offers a very affordable tobacco in three popular American blends of and Virginia tobaccos. When a smoker desires a good tobacco at an affordable price, these 1 pound bags of Largo will be the perfect choice. Deep, Earthy and Creamy. A distinguished broken flake of Largo tobaccos, small leaf orientals and a measure of spiced with velvety cigar wrapper leaf. Key Largo develops throughout the bowl, offering a satisfying and sturdy smoking experience, with beautifully balanced, richly textured layers of cocoa, dark roasted coffee, leather, and a lively, lingering finish.